Recently, we launched a campaign for Got Briefcases, an eCommerce business that carries a wide array of high-end briefcases, luggage, messenger bags, backpacks, wallets, laptop bags and other travel accessories. With a great line-up of bags and accessories for busy professionals, the company has developed a niche with its selection of well-made Italian and American designs. Now, the company is looking to increase its sales and visibility online. Our challenges with this campaign include driving more substantial, relevant customer traffic to Got Briefcase’s website in order to boost sales and revenue. In order to do this, we’ll have to produce content that enhances the company’s top brands and products’ visibility across organic search results. As potential customers in the travel sector tend to be discerning, we’re optimistic that our new content will enhance the overall user experience for travelers looking for concise, yet detailed overviews of Got Briefcase’s products. In addition to providing well-written content that explains each bag’s value and craftsmanship, we’ll also focus on appealing to search engines through unique metadata, H1 headers, and keyword optimization on each page. Along with fresh copy, we’ll focus on duplicate content issues found from product descriptions pulled straight from manufacturers. These duplicate descriptions will also be optimized by our team for revenue-generating keywords and fully-branded and informative copy. Additionally, we’ll make technical upgrades that can further enhance this online store’s SEO through a comprehensive redirect strategy for any pages returning 404 errors. Ultimately, streamlining navigation will get customers to relevant product pages as quickly as possible in order to promote conversions. We’ll also develop a comprehensive link-building strategy that will include guest blogs and profile links. This will bolster Got Briefcase’s domain authority along with driving traffic to the site from relevant forums, blogs, and other industry-related sites. In working with Got Briefcases to improve organic sales and rankings, we strive to perfect our SEO methods to provide superior results. Among these SEO best practices are a number of measures we take to improve a website’s visibility. We’re confident that our technical strategies, implementation, and well-written content will greatly improve the richness of each customer’s experience, which is a key element in continuously optimizing for search engines and their routine algorithm updates. We are constantly using rigorous data analyses gleaned from top industry tools along with frequent testing in order to keep on top of changing trends and market conditions. 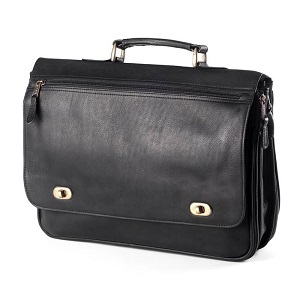 While we work on these upgrades, Got Briefcases can continue to grow their business, selling their premium bags and travel accessories to an ever-growing number of customers online. We’re proud to play a part in this company’s future success, and we can only see this travel-focused business go far in their eCommerce endeavors. If you have an online store that could stand to see substantial growth and visibility online, Coalition Technologies is always ready to help you succeed. With our strategic implementation and results-driven strategies, we’re confident that we have the most innovative practices bolstered by the SEO industry’s leading team of experts. Contact us today for a consultation at (310) 905-8646 or send us a message online to get started. We look forward to helping your business succeed!